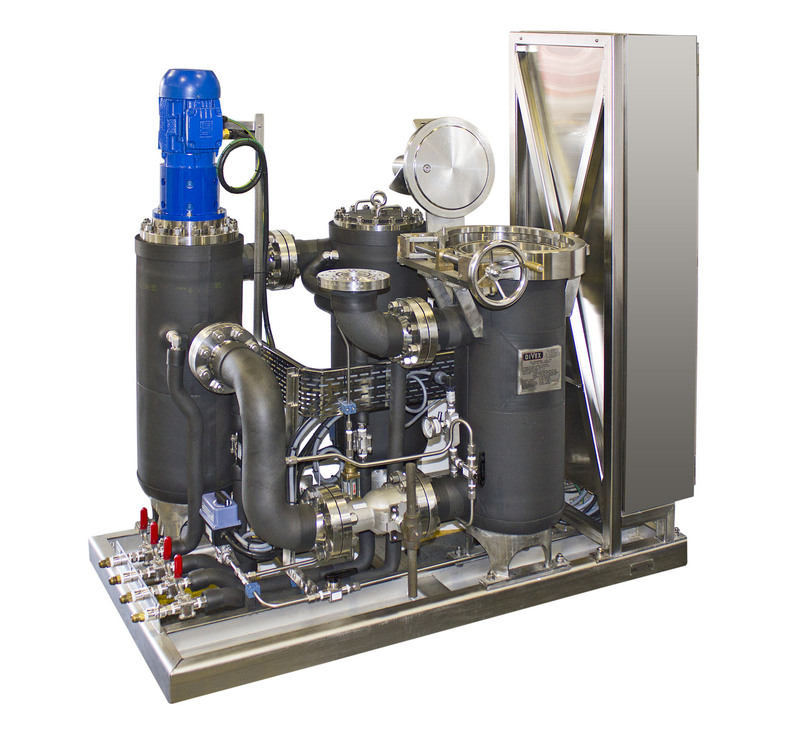 JFD's hyperbaric conditioning unit - external regeneration (HCU-ER) conditions the internal atmosphere of a saturation diving complex to maintain a habitable environment. The external regeneration system provides increased diver comfort by having the system placed outside of the living chambers. 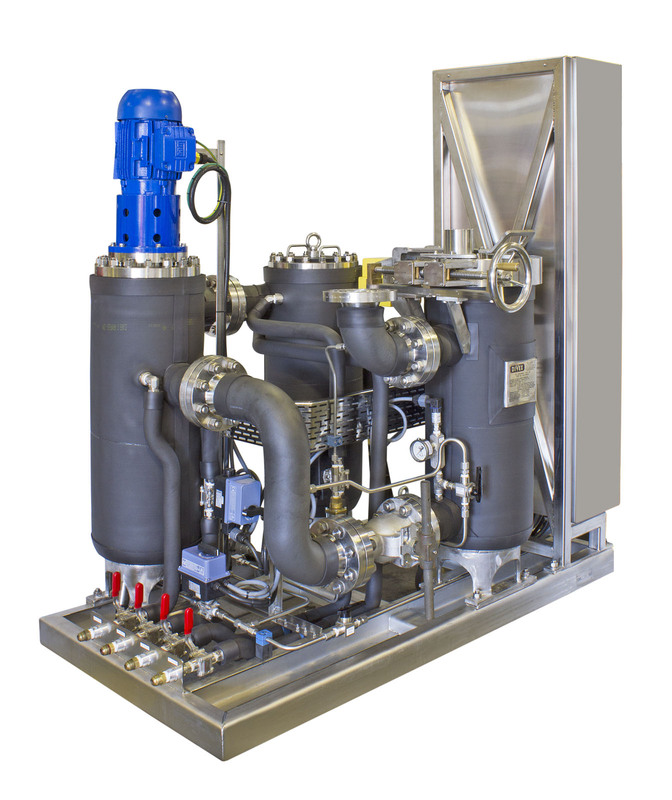 The HCU-ER HCU100 series offers uninterrupted operation through its twin scrubber design, enabling the change out of chemical absorbent whilst maintaining habitat conditioning capability. 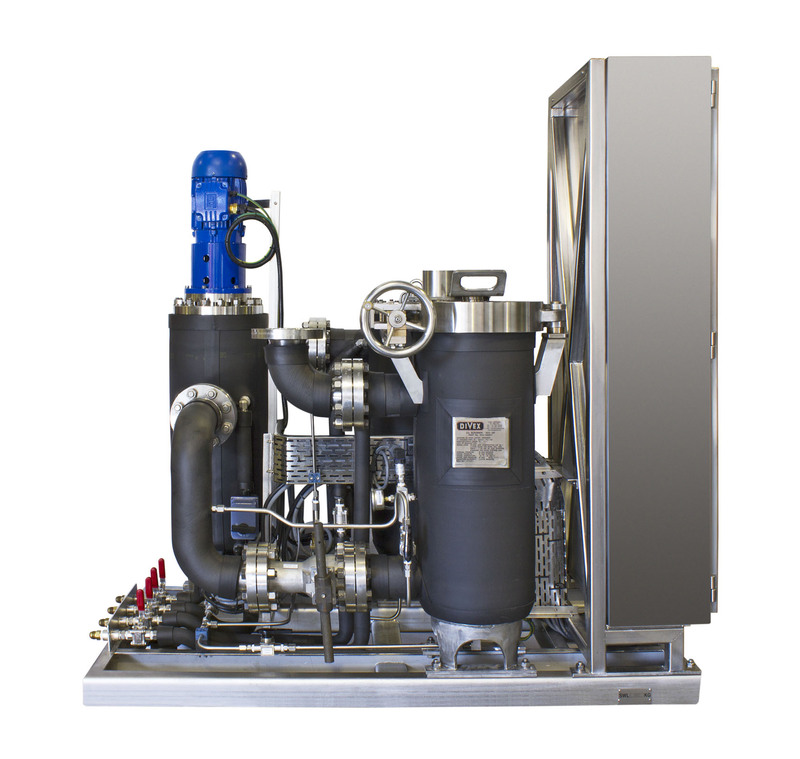 The HCU-ER HCU100 series extracts gas from the chamber into the active scrubber, injecting additional moisture to improve scrubbing capacity. The gas passes through the chemical absorbent which retains any CO2 present in the gas. 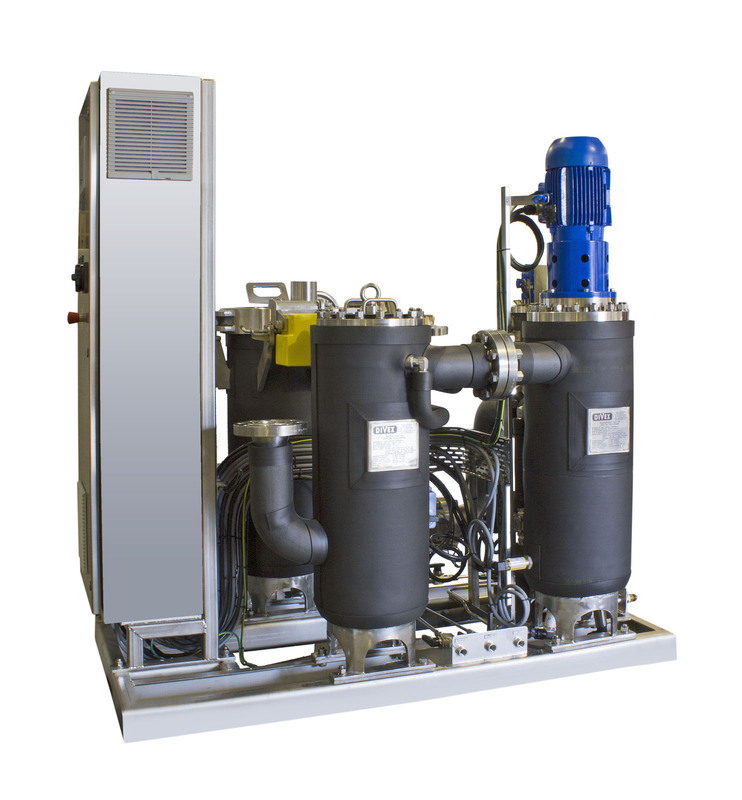 Gas is then transferred to the dehumidifier where it passes over a cold water coil. This coil has the effect of lowering the gas to a temperature below its dew point; reducing relative humidity and enabling the collection of condensation in the dehumidifier sump. The 3-stage blower then accelerates the gas into the heater where a hot water coil increases the gas temperature. The fully reconditioned gas is then circulated back into the chamber. Local control via HMI allows the operator to view at a glance chamber temperature, humidity, blower speed and alarms; as well as establish set points for these criteria and run system tests. Essential to the operation of the HCU-ER is the supply of 440VAC, 3~, 60Hz, which is transformed and rectified to 24VDC by the integral HCU transformer.